Patroclus is exiled from his home as a young prince in punishment for killing another boy. He is weak and awkward but somehow befriends the son of King Peleus, Achilles. When Achilles chooses Patroclus as his companion, their friendship grows into something more, yet the sea-nymph Thetis, mother of the future hero, disapproves. She does not want shame brought upon her son, yet she does not want the prophecy hanging over him to come true. The Song of Achilles, follows the two boys throw their childhood, their training with Chiron, the days before the Trojan War and into battle. I’m so glad fellow bloggers have praised this book otherwise I wouldn’t have picked it up. Whilst I love Greek mythology, I’ve always found Iliad related stories quite hard going, yet The Song of Achilles is surprisingly tender. Maybe it helps that I’ve now come to remember many of the sprawling cast of characters but Madeline Miller’s writing is an accessible way to learn the story. She manages to put incredibly human motives behind the events of the Iliad,that had previously seemed a bit bewildering. 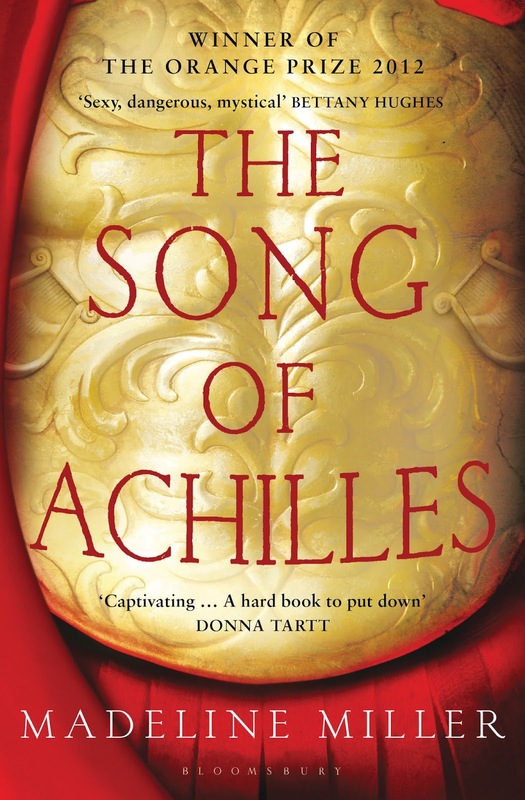 Yet knowing what ultimately happens, doesn’t take anything away from Patroclus’ personal telling. 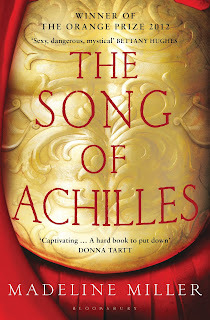 It is a much more intimate look at Achilles than any other writer has attempted. Yes, he may turn into a great warrior, but underneath is still the boy that fell in love with Patroclus. It’s one of the most expected yet touching love stories I’ve ever read. And how do centaurs sleep? Oh I ABSOLUTELY agree with your review! I'm so glad you enjoyed The Song of Achilles. Yes! I went awww a lot too. Really lovely book, not what I would have expected at all if it wasn't for all the bloggers that have reviewed it. Hmm, is there *anyone* who hates this book? All I see are positive reviews and I'm still not convinced. I do not liked mythology and there is nothing that appeals about this book. I may just take a look at it - the library should have it. Thanks. This has been on my list since I caught wind of it when it came out in the UK. I think now I am going to have to get my hands on it. Lots of people have said wonderful things so far. Awesome review! Oh I keep forgetting this book. I almost bought it in Smiths when it was cheap if you bought a copy of The Times but I couldn't find the Times plus.. The Times. Shall have to wishlist it. I'm glad you enjoyed this. It was definitely the best from the Orange shortlist and deserved is prize. It makes me want to try more of this kind of thing, like maybe Margaret Atwood's Penelopiad - have you read it? Oh yes, I loved it.I really like the Canongate Myths series, even the ones I don't love, I still like the idea behind them if that makes sense. Weight is another good one. OK, that does it- I'm getting it! Tender is exactly the word to describe this book. Even if it didn't work 100% of the time, it was still a great read.